Kedar Naphade, a Hindustani Classical Instrumentalist, is one of today’s leading exponents of the art of Harmonium Solo and Accompaniment. He is also the Founder and Principal of Pt. Tulsidas Borkar School of Harmonium at ACE Open Online University – a first-of-its-kind virtual music school that brings the highest caliber of music education into the living rooms of deserving students all over the world. Kedar received preliminary training in Hindustani Classical Music from his grandfather,Shri Dadasaheb Naphade and from Shri Arvind Gajendragadkar. For over 15 years, he has been a leading disciple of Pt. Tulsidas Borkar, arguably the most acclaimed harmonium player in India today. Kedar has also had the privilege of training from Smt. Padmavati Shaligram-Gokhale, a veteran singer of the Atrauli-Jaipur gharana. She played a pivotal role in his musical development and sowed in him the seed that developed into a passionate love for the vocal art form. As such, like his guru, Kedar’s music derives inspiration from the stylistic genius and dexterous wizardry of P. Madhukar as well as the character of the traditional hindustani vocal art form. 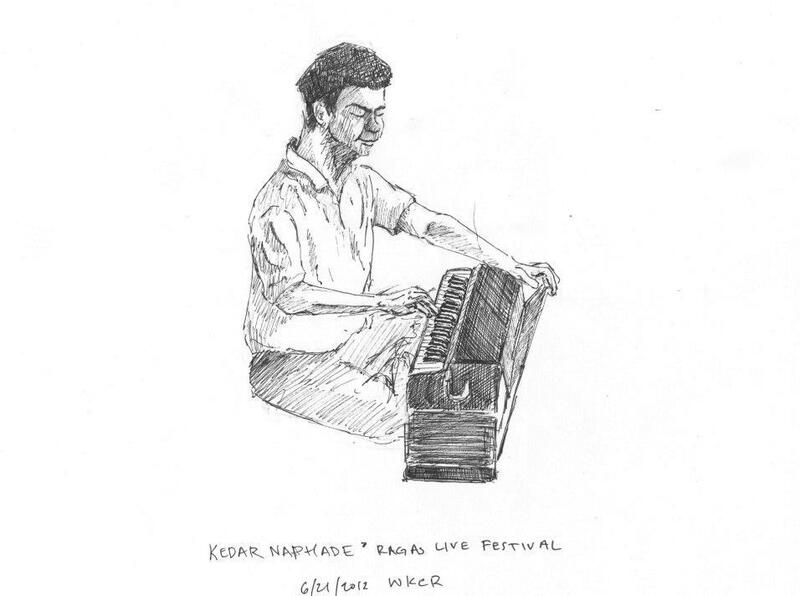 Kedar has performed harmonium solo and has accompanied vocalists at numerous concerts in India, Europe and in the U.S. including prestigious festivals and venues such as the Alladiya Khan Smruti Samaroha, Dadar Matunga Cultural Center in Mumbai, The Lincoln Center in New York, The Smithsonian Institute in Washington D.C etc. 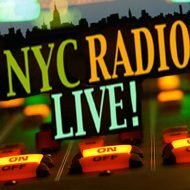 He has also been featured on NPR. He has shared the stage with luminaries such as his guru Smt. Padmavati Shaligram-Gokhale, Pt. Jasraj, Smt. Veena Sahasrabuddhe, Pt. Ulhas Kashalkar, Smt. Prabha Atre, Smt. Laxmi Shankar, Pt. Phiroz Dastur etc. Kedar continues to train from Pt. Tulsidas Borkar and maintains an active concert schedule in the U.S.
Nitin Mitta is one of the most accomplished and distinctive tabla players of his generation, with a reputation for technical virtuosity, spontaneity, clarity of tone, and sensitivity to melodic nuances. Apart from being a dynamic soloist, he is a highly sought after accompanist who has performed with some of India’s most celebrated Hindustani classical musicians, including Pandit Jasraj, Dr. Prabha Atre, Pandits Rajan and Sajan Mishra, Pandit Vishwa Mohan Bhatt, and Ustad Shahid Parvez, as well as many Carnatic musicians, such as Lalgudi G.J.R Krishnan and Lalgudi Vijayalakshmi. Nitin has also made a mark as a versatile collaborator in other spheres. He recently joined forces with 2010 Grammy Nominee Pianist Vijay Iyer and electric guitarist R. Prasanna to produce a studio album titled Tirtha that blends elements of contemporary jazz with the North and South Indian traditional ragas and compositions. Another collaboration with R. Prasanna can be heard on the soundtrack of the Oscar-winning documentary Smile Pinky. He has also performed and toured with singer and Juno Award nominee Kiran Ahluwalia. Born in Hyderabad in 1975, Nitin received his early training in Hyderabad from Pandit G. Satyanarayana. Blessed with raw talent, he gave his first solo tabla performance at the age of ten. During his studies he won many accolades, including first prize in the All India Competition held in Calcutta. To expand his repertoire of tabla compositions, he sought the guidance of Pandit Arvind Mulgaonkar of Mumbai, one of the most highly respected mentors of his generation. Under Mulgaonkarji’s tutelage, Nitin not only broadened his tabla vocabulary, but sharpened his understanding of how to bring the material to life in performances through interpretation, improvisation and respect for the dynamics between instrumentalist and rhythmic accompanist. Both of Nitin’s gurus are disciples of the late Ustad Amir Hussain Khan Saheb, legendary doyen of the Farukhabad Gharana. After moving to the United States in 2002, Nitin received a grant from the Rhode Island State Council on Arts. He was a member of the faculty at the Learn Quest Academy of Music in Waltham, MA. He maintains a busy schedule of performances and tabla workshops, traveling throughout the U.S, Europe, Canada and India. He has performed at several prominent venues including the Metropolitan Museum of Art, the Weill recital Hall/Carnegie Hall, the UCLA Royce Hall, the Indian consulate in New York, the Smithsonian Museum in Washington, D.C, the Music Academy in Chennai, and the Habitat Centre in New Delhi.